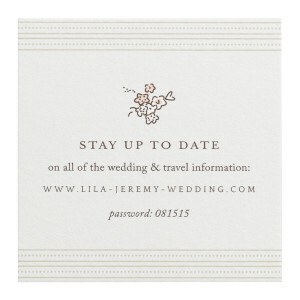 Showcasing a similar border motif, the Lila Enclosure Card mimics the look of the Invitation and RSVP Reply Card and brings together the entire Invitation set. 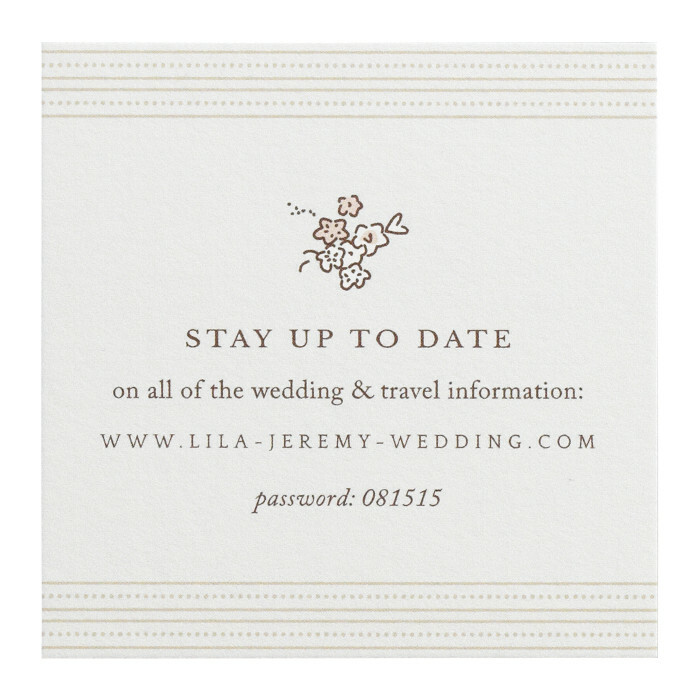 This piece stands out with a soft grey background and directs guests to your wedding website for any additional information, such as travel and accommodation suggestions. The piece is flat printed single-sided on luxuriously thick cover stock with a subtle eggshell textured finish. $229 for 100 flat printed Enclosure Cards.